For me that these jackets can be categorised into beaded jackets, embroidered jackets, sequinned jackets and velvet jackets. Oh yes dig out that velvet this winter, for velvet is having a moment! Quite a few of the jackets in the article were pretty pricey but here are a few which come in under the £80 mark. There are plenty out there to take a look at so these are really just to give you an idea and no doubt the likes of Primark. New Look and Forever 21 will have some beauties too. 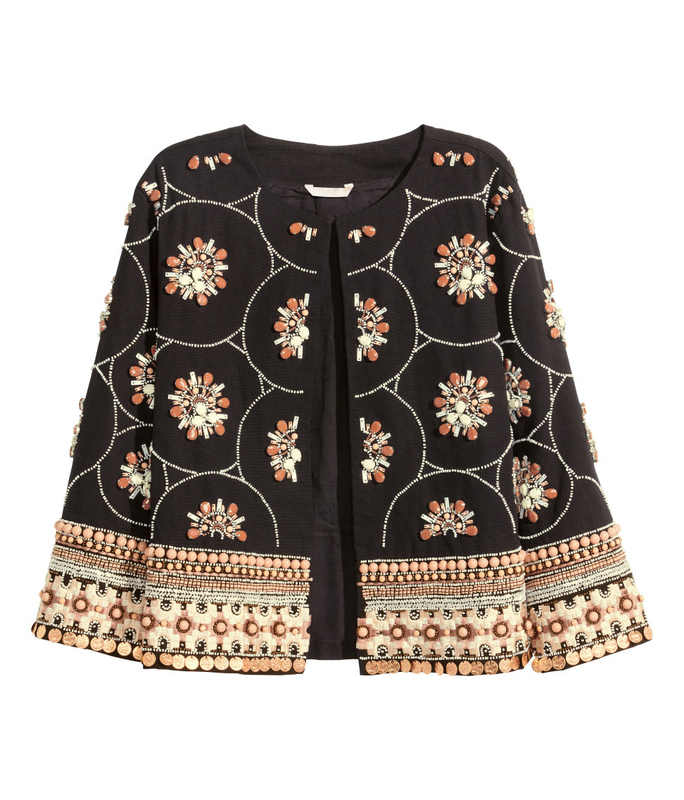 This one from H&M (£79.99) falls into the beaded category. 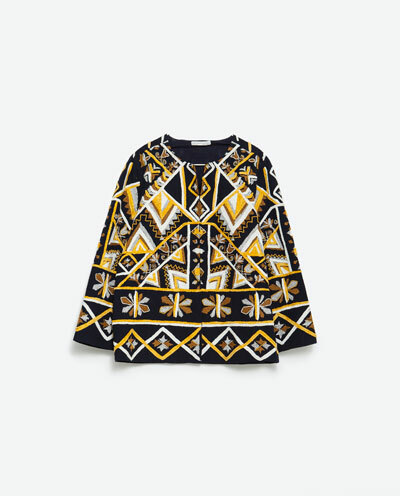 The gold discs around the hem give a slight nod to the boho trend but it does have sparkly bits too – so it ticks a couple of boxes. 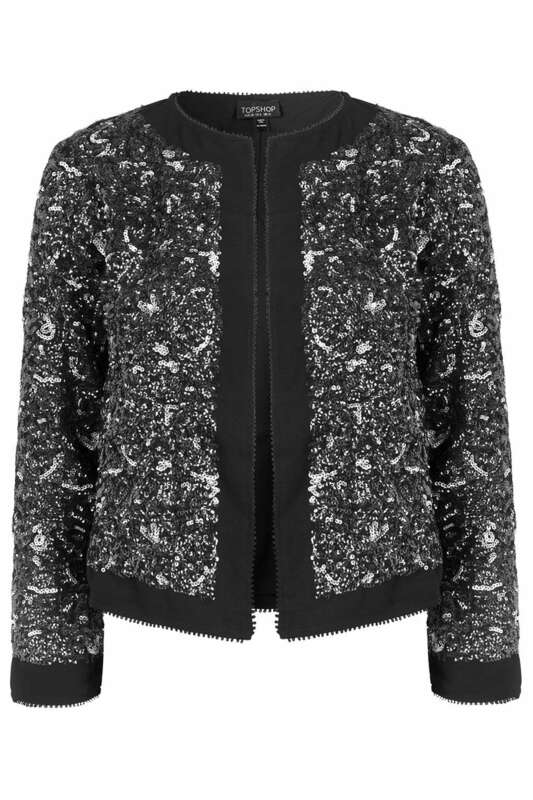 On the other hand, if you want to talk sequins, Topshop has this fab sequin jacket (£60). AND it has matching shorts, which obviously all of us will be wearing. Finally, let’s talk velvet. 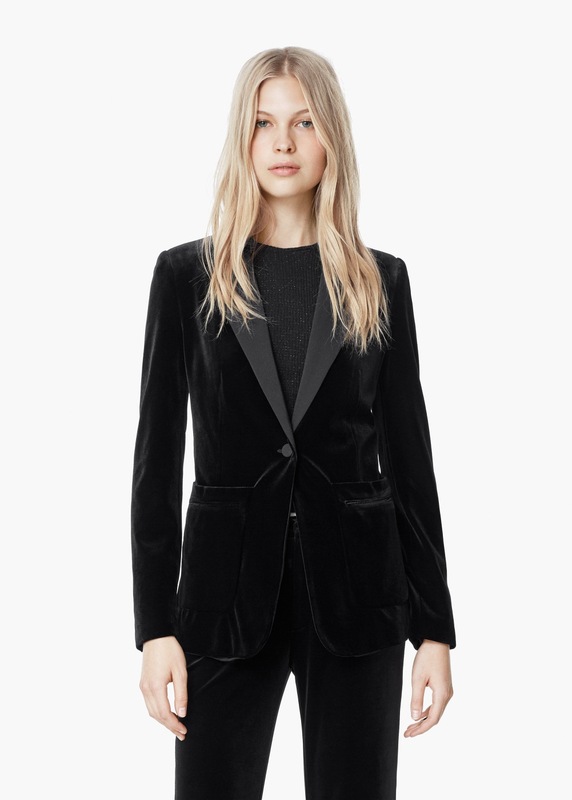 Mango has this blazer for £69.99. I love the idea of this for a Christmas party, either with trousers or over a dress, for understated elegance. Many of us will have a vaguely decent pair of jeans, or some black trousers, a fairly plain top and a pair of heels in our wardrobe. Pull it all together with a statement jacket and your outfit is well and truly sorted. So if I was going to recommend one new item for your winter Christmas/Party (or even Pantomime) wardrobe, a statement jacket would be it. Previous Post M&S Limited Edition – Another one to add to your list of “ones to watch”? Next Post How adding a new piece to your wardrobe can inject life into older items.